We teach all styles: Ballet, Tap, Jazz, Hip Hop, Lyrical, Contemporary, Ballroom, Musical Theatre, Acro/Tumbling, Pointe and more. We have a class for all ages and all levels in all styles! Not only do we offer classes of everyone, but we have fully structred programs - visit the "Our Programs" page to see what we have for you! We do not limit our students to repetitive, basic steps, to the point where not only the students become bored and unmotivated to come to class, but their parents become bored, too, by watching endless recitals with minimal stage time and... repetitive, basic steps. We appreciate each dancer for who she/he is and what they have to offer, not only artistically but also as a unique human being. We divide the year into 3 sessions, and offer optional performance opportunities. We strongly believe in each student's ability to reach their potential, and recognize each young person's need to express themselves through music and their bodies, offering them a safe environment in which to do this while learning dance techniques and combinations. We work as a dance family. Your family members are always welcome and there will always be a smile waiting for you at the studio. We encourage and treasure relationship building, sportsmanship, and friendship. We strongly believe that any child who wants to dance and shows an interest in dancing should be able to do so by taking formal dance training to explore this exciting art form and the joy that results from it. 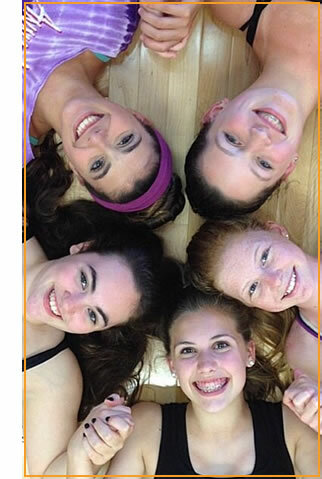 We happily invite you and your family to our fun, exciting, bond-inducing, artistic, creative and unique Dance Studio Programs.